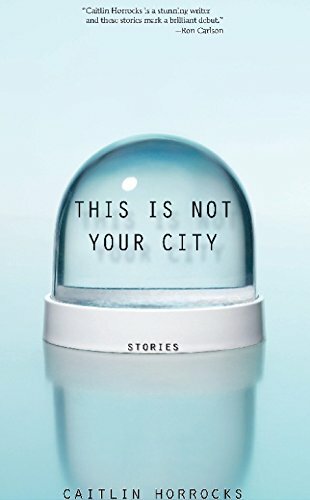 The title story of This Is Not Your City, which appeared in The PEN/O. Henry Prize Stories for 2009, is certainly skillful enough—the tale of a Russian mail order bride, Daria, and her new, much-older husband, Paavo, suffering through the possible loss of her missing daughter set against the bleak and confusingly foreign landscape and language of Finland—but it is not representative of the whole. • A young teacher is thrust into the classroom by parents who feel it is time for her to make her way in the world and a private school so in need of filling the spot in front of the blackboard for the rest of a semester that they are willing to ignore the mounting evidence that their new hire hates children. • A young foreign student, daughter of a Lapland reindeer farmer, embarks in a perhaps unwise romantic relationship during her time as a student in the foreign lands of Finland (again) that ends with a briskly humorous nod to urban legends. • The clotting guilt of a young girl facing the end of an important childhood friendship, not by the life-and-death struggle of her friend fighting cancer, but by her own shame over her own reaction to the “otherness,” the uncool and irregular neediness of those who fight for life. All share a quality of an emotional ache. And all share a tendency toward material that is overworked, with tales told in unfortunate verb tenses (how much better would the first story, “Zolaria” be, had it been told more simply without the need for the device of future tense) and the apparent authorial need to lobe words like little grenades (“I’ll play flute for three shrill years”). In structuring her stories, author Caitlin Horrocks seems to feel the need to disorient her readers in much the same way that her characters are disoriented. The result is an emotional distancing on the part of her readers, and a tendency on this reader’s part to find himself repeatedly taken out of the narrative by the stylistic intrusion of the author into her own stories. The best of the lot is “At the Zoo,” the story of three generations of a family, grandfather, daughter and grandson, and their rather trying day at the zoo, a locale that thrills the grandson, and pleases the mother as a means of burning away a full day of her father’s visit. In this well-structured, beautifully realized tale, each character, from youngest to oldest, unfolds into a fully rounded being. There is beauty in the way she shows the action of one character and the reaction of another, all at once. And masterful skill in the way she mixes her characters’ emotions like colors on a palate, giving what might have been a standard story about nothing—a day at the zoo—and depth, a dark humor and a grace that is might otherwise have lacked. On top of this, she introduces the unseen character of a mad scientist (the character’s name, not my assumption), a law office and the schematics for a time machine to propel the story to the edge of a literary black hole. There is sits, balanced at the lip. Here to this affecting family tragedy and to the poignant idea of daily writing post cards to a child who will never be able to read them, Mr. Horrocks chooses to add another plot layer involving Somali pirates and several days of standoff in which our protagonists, Lucinda and Wil, spend their time eating food from their welcome basket of fruit and cheese and writing the aforementioned post cards. As good as the story is, the reader cannot help but wonder if it would not be even better had the Somalis chosen another ship to raid, leaving Wil and Lucinda to deal with the many lies they’d told about their family to the other passengers on the confines of the ship, as well as the deep ache at the center of their marriage. And yet Caitlin Horrocks displays talent and skill enough in this slim volume to soon rocket her to the top of many a reading list. Surely, worldly word affectionados, Literature types who host their own reading and/or writing groups and emo folks of all persuasions will all take particular note of Caitlin Horrocks’ This Is not Your City, while the general reading public may have to wait for another time, when this young author has more clearly and assuredly mastered her voice and the telling of tales.